During the Holocaust in Nazi-occupied Europe, two-thirds of all the Jews living in Europe were murdered. Out of fear for their own safety, many citizens in these Nazi-occupied territories stood by and silently watched the Nazis murder their countrymen. Everyone lived in fear and thought that if they just kept to themselves, obeyed the Nazis, and didn’t get involved, they would be safe. For the most part, they were right. The Holocaust killed two-thirds of the Jewish population in most European countries except one: Denmark. Out of approximately 7,500 Jews living in Denmark, only about 120 died during the Holocaust. How did this happen? How did Denmark accomplish their rescue? The Nazi presence was just as strong in Denmark as it was in other countries, but it was the Danish response to Nazi oppression that made all the difference. 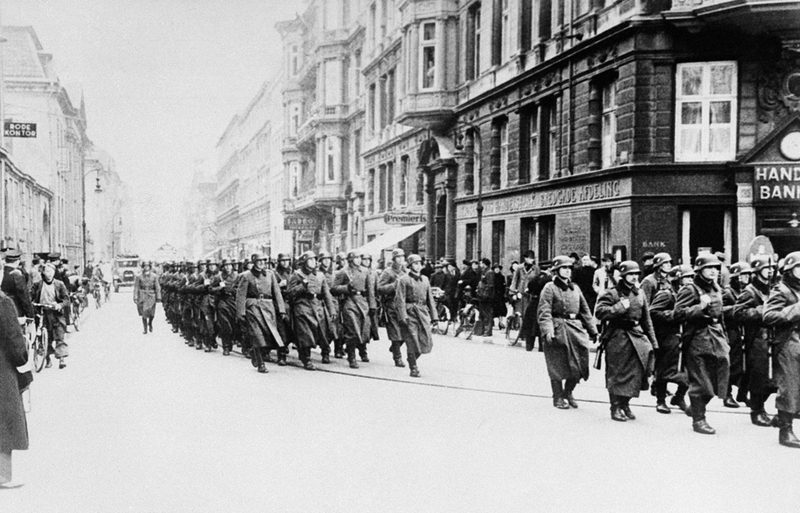 In Denmark, citizens offered assistance to the Jews before the round-up on October 1, 1943. Neighbors hid their friends, shopkeepers took in their former customers, and fisherman ferried Jewish families across the sea to neutral Sweden. Of the 500 Jews deported to concentration camps, most were eventually released because of pressure from Danish officials. Their efforts proved that everyone can do something to save lives. It is important to realize that the Danish government alone did not save the majority of the Jews in Denmark. It was ordinary people who understood that their neighbors’ lives were in danger. These people were willing to risk everything they had for the protection of the most vulnerable in their society. They didn’t see the Jews as any different from themselves. Their sense of solidarity helped them to see that the Nazi attack on the Jews was a direct attack on humanity. Are you a bystander in the fight to end abortion? A bystander is someone who just stands and watches while emergency situations occur. After WWII, when the German people saw the horrors of the Holocaust for the first time, many citizens were shocked. They tried to distance themselves by claiming they were just innocent bystanders. Although they certainly didn’t cooperate with the Nazis, they didn’t do anything to stop them either. We can apply this to our lives today and to how we react to the horrors perpetrated on the weakest among us. Are you a bystander when it comes to abortion? Each of us has our own excuses for why we don’t get involved: We’re already so busy that we can’t sacrifice the time to be involved in “just one more thing;” we don’t have time to go and pray outside a clinic; we don’t want to get in trouble; or maybe we don’t want to lose friendships over a “political issue.” But the truth is, abortion isn’t a “political issue;” it’s a matter of life or death for our fellow human beings. In the pro-life movement, we have men and women who are every bit as courageous as the Danish citizens. Thanks to Houston Coalition for Life’s efforts, 90 percent of its clients choose life for their babies. In the last 40 Days for Life campaign, 872 lives were saved from abortion, three abortion facilities closed, and eight abortion clinic workers quit. These are ordinary citizens who donate their time and talents to help pregnant moms and their babies. These are the people who make a difference. You won’t find their names on a list of celebrated heroes, but they are doing the most important work in the culture of life. We stop acting like bystanders when we become personally involved with the lives of the mothers and babies we are trying to save. We see examples all around us. For instance, there are couples who stand outside abortion clinics helping mothers choose life by offering to adopt their children. And there’s a young man named Max who raises money for his local pregnancy resource center so that moms have a safe place to go. Heroes are everywhere. The Danish people were not the only rescuers during the Holocaust, but Denmark was the only country to save the Jews on such a massive scale. The difference between Denmark and most other Jewish rescue efforts is that in Denmark every citizen pitched in to help their neighbors using their own unique talents and resources. Nobody asked them to help; they just did. This story holds an important lesson for the pro-life movement and shows the power of a culture of life triumphing over the culture of death. When ordinary, everyday people are trained to see the value and dignity of each person, they won’t stay silent while their brothers and sisters are killed around them. Today in our world, we are facing an anti-life and anti-family culture so evil that we cannot afford to be bystanders. Every child who dies in an abortion is an attack on our very own human family. Our world needs pro-life activists and sidewalk counselors who are working on the front lines to help end abortion. But more importantly our world needs ordinary pro-life people, too. We need pro-lifers who understand the dignity and value of preborn children and people with disabilities. We need ordinary citizens who will take action without being asked. Being pro-life is a sacrifice, but well worth it. We can end this modern-day slaughter of innocent preborn babies if courage is the norm, not the exception, among pro-lifers. Like the humble citizens of Denmark, we may never know our personal impact, but we will never end the atrocity of abortion if we never try. As pro-lifers, our job is to help the people that God puts right in front of us.